The sound of vindication echoed inside the Holkar Cricket Stadium in Indore in October 2016 as Cheteshwar Pujara pulled New Zealand’s James Neesham for a boundary to bring up his eighth Test century. A 23,000-strong crowd had been treated to not just a brilliant display of batting, but also a commendable reemergence. That tentative smile was back on his face—as much out of relief as joy—as the Saurashtra batsman raised his arms in the air to acknowledge the rousing reception. 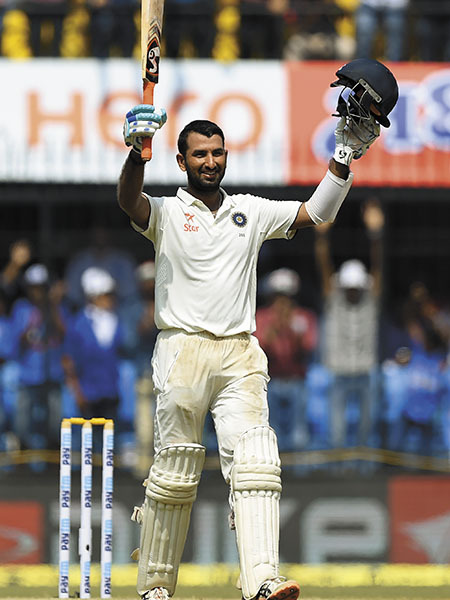 There was relief because he had finally ended a century drought which had lasted 12 innings and raised questions about the very essence of Pujara’s batting. Thirty-eight days later in Vizag, the smile had turned into a hearty laughter as Pujara launched one into the stands off England leg spinner Adil Rashid to register his third century on the trot (the second one was at his hometown Rajkot, in the first Test match against the visiting English team). The secret to the turnaround? Nothing miraculous apparently. “Hard work, patience and sincere practice; there is no other magic, that’s how Cheteshwar used to bounce back from tough phases earlier in his career too,” Arvind Pujara, the batsman’s father who has been his coach since the age of three, tells Forbes India. In all these years, this formula hasn’t changed. The more you speak to people around Pujara, it’s these two words—hard work—that keep coming back. Going into the New Zealand Test series, the 28-year-old was under tremendous pressure to perform, fighting for a place in the starting XI with Rohit Sharma. But he ended up as the highest run-scorer with 373 runs in three matches. He continued the momentum against England with consecutive centuries in the first two Tests. Since November 1, 2015, he has been India’s second-highest run scorer with 975 runs at an average of 51.31 in 13 Tests and 20 innings (stats as of December 1, 2016). Virat Kohli scored 1,165 runs at 58.25 in the same period. Pujara has also scored the most number of Tests centuries (three) by a No 3 batsman in 2016. 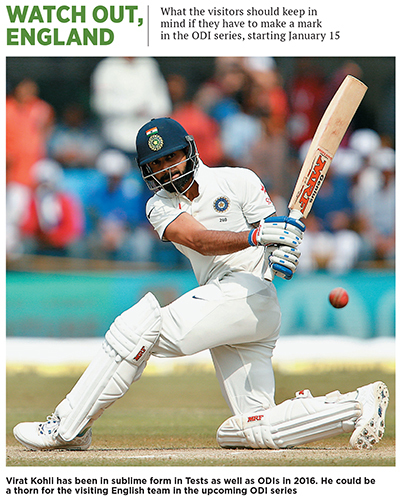 Growing whispers about his slow scoring rate, particularly at the start of the innings, were swept away with strike rates of 60 and 58 during the hundreds in the Rajkot and Visakhapatnam Tests, respectively. Fittingly, for a player that has had his game shaped by the longer format and not the T20s, Pujara went back to his familiar territory to work his way back into a purple patch. Duleep Trophy, the domestic tournament played between India Reds, Greens and Blues, just before the New Zealand series provided the ideal stage for warming up for the long home season. Pujara announced his return with two big knocks for India Blue—166 against India Green and an unbeaten 256 against India Red. The approach had changed: With the 166 that was scored at a strike rate of 59.28 and 256 at a staggering 70.52, he was ready for the Kiwis. Truth be told, life hasn’t been easy for Pujara. He was repeatedly snubbed by the selectors during his under-14 career despite notching up 300-plus scores. He lost his mother to cancer when he was just 17. He had another scare when his father had a heart attack five years ago. He’s suffered serious injuries to both his knees as well. But the one thing that has kept him going is his mental toughness. His mother’s demise made him more determined than ever and Kotak believes that it is this mental shield that pulls him through during a tough phase. “He is mentally very tough. He is the kind of person who never focuses on what the others are doing, who is scoring runs or who is not, who’s playing and who’s not, why should that player play and why shouldn’t I. He is that kind of a person who just focuses on his performance and own contribution. When you start giving up thinking about things that are not in your control, it brings clarity of mind. I have never heard anything about anyone from him,” says Kotak. Cricket runs in Pujara’s family. 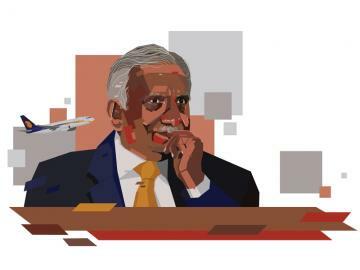 Father Arvind and uncle Bipin played first-class cricket for Saurashtra, while his grandfather Shivlal played for Dhrangadhra. Growing up in a sporting environment has given Pujara the much-needed support. Often, Bipin, Arvind and Cheteshwar would get together to discuss his game or iron out his flaws and even take care of his diet. Hard work. Family. Passion. They all coincided when Pujara brought up his hundred in front of his father—who had come to watch his son bat live for first time in international cricket—against England in Rajkot, his home ground, which hosted its first ever Test in November. “Cheteshwar feels that not just in Rajkot, but every person in Saurashtra is with him. The people, too, feel that Cheteshwar is our player. So when he performs, not just Rajkot, the entire Saurashtra rejoices,” Arvind beams, as he recalls the moment. Six days later, when Pujara hit that six in Vizag, he became just the 14th Indian batsman to bring up a Test ton with a maximum. No one is whispering now. Not even his biggest critics.